For those waiting for the Corgi Metroline Wright Gemini 2 VW1400, Hattons says that it will be in stock on or after November 7th! Unfortunately I think we might have to wait a bit longer than that. When Hattons show an item as due 'on or after' a date, all it means is it's not expected before that date. 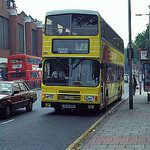 For example the Brighton & Hove Gemini 2 is still shown as due on or after 8th September. I doubt that VW1400 will be in stock until at least later in November, as it still doesn't have a release date confirmed by Corgi, whereas that cheap 'Best of British' NBfL is confirmed as week ending 16th November. 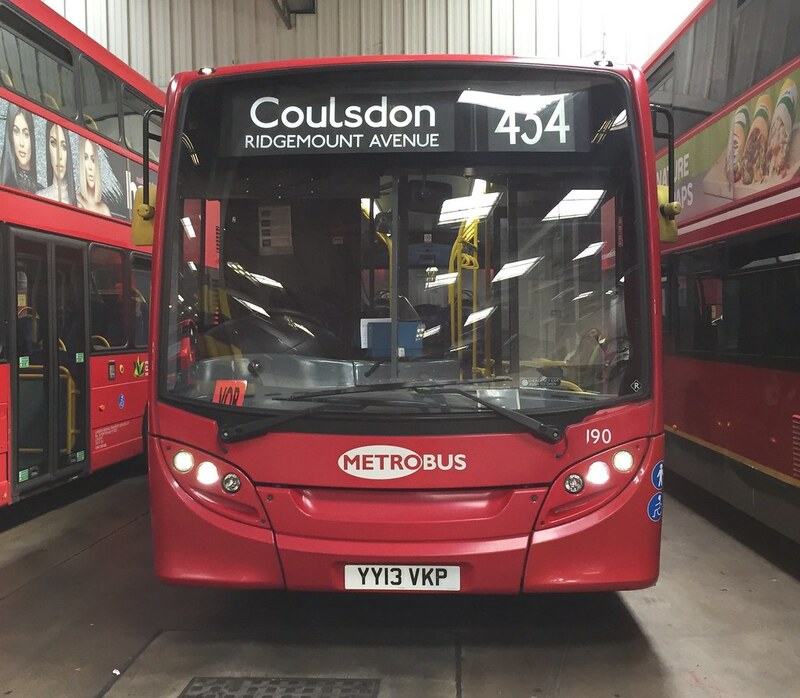 I hope it won't be long before they consider a model of a London spec'd MMC Enviro200 and 400. Looks like the Brighton Gemini 2 is due at the end of November. Would imagine the Metroline won't be far behind. I suspect you'll have to wait for a bit : at least until a quantity are in service. EFE haven't got a low floor double deck in their range yet : perhaps the MMC Enviro 400 will be their first. We'll see. This has now been released, and I'd say it was definitely worth the wait. I've uploaded some photos of the model to Photobucket - click here. Hopefully Corgi will announce another London Gemini 2 soon, a Go-Ahead one in their old livery would be good. That will be my early crimbo self prezzie. Only a shame the Arriva DW on the 59 never came out as intended. A couple of bits of diecast news : EFE are planning to release a model of Titan T1983 (T747) in the new year - this is the gold/white liveried Titan with Leyland advertising painted to commemorate the 50th anniversary of LT.
Hopefully at least one London spec'd MMC Enviro will be released, bearing in mind it's barely started production. I don't see an MMC Enviro model being released until a few more of them are on the roads. With Corgi's link with Wright, I would guess that would be the sort of route they'd go down for modern vehicles in the short-medium term. Personally speaking, I would much prefer to see some of the gaps filled in for the earlier years of London Transport/London Country : in particular a Craven RT, prototype Routemaster RML3, a Metro-Scania single deck, an AEC Reliance RP, a full height Bristol VR (London Country had 15 of these), and a London-spec ECW Olympian. I also wouldn't expect anyone to produce an Enviro400 MMC for a while yet. I agree with twobellstogo about some of the London Transport types, although I think several of those would be more likely to come from EFE than Corgi (and an EFE model of RM3 would look better next to their models of the other prototype RMs). However it is probably about time for Corgi to do an older vehicle as their most recent tooling has all been of modern Wrightbus designs. I would like to see a StreetLite DF or Max though. As for new releases using existing tooling, I'm just hoping for a couple more LTs or Gemini 2s in London liveries. Although I've stopped buying models in recent times I would like to see a Metro Scania single deck. That has the potential for a decent number of variants - London red, Leicester (2 liveries), SELNEC, Newport, London Country, Merseyside (remember the original intro to Brookside?). Corgi have announced Jan-June 2015's models early - no new castings, and just two buses of London interest - London United LT85 on route 10, and Go-Ahead Volvo/Wright Gemini 2 WVL501 on route 74.